Our professional team of experienced Volkswagen service consultants and Volkswagen trained service technicians are here to assist you. Trust your Volkswagen to people who know it best! We are an Authorized Volkswagen service department and repair facility. Our VW device department is staffed with certified Volkswagen technicians to carry out all your Volkswagen Maintenance needs. If you need anything from a simple Volkswagen trade appraisal of your current vehicle, a pre-owned 112-point Volkswagen inspection for your next VW, or a complicated corrosion inspection for your Volkswagen, we can address all your concerns and complete any service request you might want to throw us. While you are having your Volkswagen vehicle serviced, we can also arrange for a detailing/valeting special. We will take really good care of your VW and we will restore the internal and external appearance of your vehicle to our stringent Volkswagen Factory Standards. If it is routine VW maintenance or your need a VW repair facility, our Saint John Volkswagen service department will be happy to be your choice for VW maintenance or Volkswagen repair. Any of these repairs will be carried out with Genuine Volkswagen Parts. We aim to fix it right the first time! At Saint John Volkswagen we have the latest diagnostic tools and repair techniques, authorized and approved by Volkswagen. Bring your vehicle to us and see for yourself. Our Volkswagen parts & accessories department can help you not only accessorize your VW, but also select the right wheels and tires, all your OEM replacement parts, while also replenishing your Volkswagen boutique items and merchandise. Our Volkswagen parts specials can cover anything from travel mugs to iPod and Bluetooth adapters, to kayak and ski racks. Would you like to know when you’re supposed to bring in your Volkswagen for its scheduled maintenance? Look it up, using our online maintenance search, for your next recommended Volkswagen checkup time. Look up your own Volkswagen maintenance service schedule in NB. If you are running your Saint John Volkswagen too many kilometers per year in NB and you can’t fit in your lifestyle the scheduled service appointments for an oil change or an oil service, you might want to try switching to synthetic oil. Synthetic oil is more refined than regular, mineral “dino” oil. Synthetics have many more additives which may be relevant to your particular application. Synthetic oils have better high (+40 celsius) and low (-40 celsius) temperature performance. They are multigrade, meaning that they act like a thinner oil in low (engine and environment temperatures) and like a thicker oil at high temps. Easier starting at the lower Canadian winter temperatures is another benefit. Synthetics produce reduced sludge inside your Volkswagen engine, clean the deposits that may have already developed and lubricate your Turbocharger or Supercharger a lot better than conventional oils. Extended oil change intervals is a side benefit of synthetic oils, since they last much longer before dissolving and losing their lubricating benefits. Keep your Volkswagen running like a Volkswagen and connect with our New Brunswick Volkswagen experts to find out more. If you need to drop off your vehicle just before work, you can contact us through our online service scheduler and we will be more than happy to accommodate your needs via our NB Volkswagen shuttle service. Arrange your Volkswagen service in NB. Come back frequently to our service specials page. We upload all our content regarding maintenance ideas, service special combos and recommendations on how to expedite your Volkswagen maintenance and prepare your VW for the gamut of the Canadian Maritime Seasons. Our Volkswagen service business hours in NB are: Monday to Friday, from 7:30 in the morning to 5:30 in the evening. Take advantage of our Volkswagen maintenance timeline app and find exactly what you need to do to tune up you Volkswagen in your garage at home. And if you’re stuck somewhere, contact our service department for any queries, or schedule your VW service online. If you have any comments, questions or concerns our skilled staff would be happy to assist you. 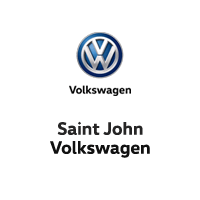 At Saint John Volkswagen we are here to exceed your expectations, every time!